The Rainbow Covenant seeks to help churches develop an intentional approach to funding mission. Travel the road to the rainbow and remember that each mile means service with God’s people. Remember, too, that each color of the rainbow represents a different spectrum of mission. A road and a rainbow help keep track of where we are and where we’re going. The Rainbow Covenant consists of three levels of giving. The first requirement is fully paid apportionments. Apportionments are funds that each church pays to support the District and the Conference. Apportionments also pay all administrative and promotional costs for The Advance projects so that 100% of any financial gift goes to the project or ministry you choose. The second requirement is support of Rainbow Mission categories listed below. $6.00 per member is contributed to projects in the International Hunger/Poverty (green) category and $1.00 per member is contributed to projects in each of the other six categories. Purple Special Sunday Offerings focusing on One Great Hour of Sharing. Indigo Parish Development Projects focusing on Women at the Well. The Advance is the name of the Giving Resource Guide to help decide which projects you wish to fund. For information about projects, please click here. The third requirement is $2.00 per member contributed toward missionary support plus $1.00 per member to support local and institutional giving. 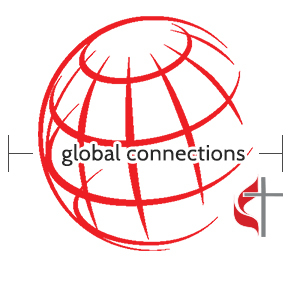 A special covenant to support a United Methodist Missionary in his or her work is available for congregations who make a commitment to provide $2,500 salary support for a missionary of their choice. The congregation of First United Methodist Churchhas been very generous in supporting Rainbow Covenant Projects.